Outfitting your weapon requires plenty of gun accessories. Every gun owner is different has a different level of experience, so what each individual needs in terms of accessories is going to be different. 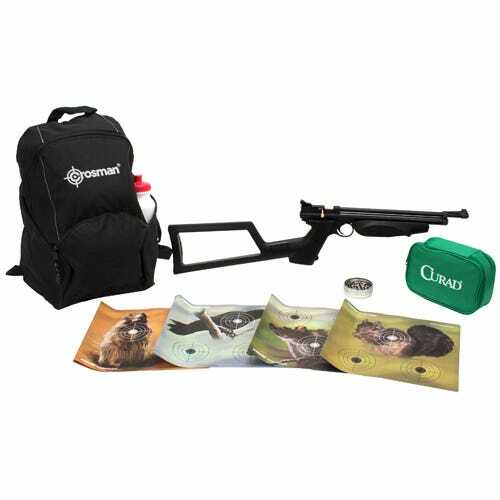 For owners wanting to outfit their arsenal with nonlethal gun accessories, GrabAGun.com has a wealth of products that will have you shooting straighter and feeling more confident during your next experience out in the field. Though the list of accessories is long, there are some that are commonly found in most owners’ inventories. CO2 is the common gas used for air rifles. These CO2 cartridges are crucial for your air rifle to function properly. These come in a variety of sizes and gauges, so be sure to know which one will work with your weapon. In addition to those, the pellets that these weapons generally fire are equally important. This type of ammunition is designed to be a nonlethal substitute to bullets fired from a real weapon. For many weapons, you can find spare magazines to increase the round capacity of your weapon. Not only that, but you can also alter the grip of your weapon for a unique look and feel customized to your specifications. Before you take your weapon to the range, consider finding a scope that can give you pinpoint accuracy. Be sure to also check out some targets so you have something to aim at once your weapon is ready to be fired. There are a number of ways to improve and customize your gun. Though many weapons come ready to hit the range, most of us want to customize them to fit our specific needs. With some of the gun accessories from GrabAGun.com, you will be on your way to making your weapon truly yours.